Valpolicella is one of the most prestigious Italian winemaking areas in the Veneto region and is located northwest of the elegant Roman town of Verona (in the western corner of the Veneto). The region has grown far beyond the original classic area and extends east to Soave and west to Bardolino (next to Lake Garda). Valpolicella is home to the wonderfully unique Amarone Della Valpolicella wine, produced from loft-drying only the select grapes to produce a lavishly fruity, yet dry red capable of considerable aging. Valpolicella’s red wines were, in fact, popular in Roman times, when the sweet Recioto (sweeter due to the fermentation being halted before that of the Amarone wines, leaving residual sugar) wine was in vogue. Valpolicella is an intensely beautiful region, whose name comes from “val polis cellae” and means “valley of many cellars”, and is characterized by the steep, vine-laced ridges that run alongside its gurgling mountain streams. The main valleys of Valpolicella Classico often being referred to as the fingers on an open palm, as they stretch out of the Lessini Mountains. Besides the stunning terraced vineyards, the region is dotted with pretty villages and hamlets. 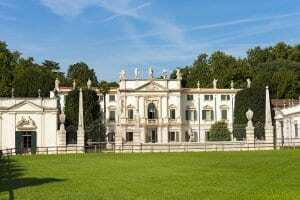 San Pietro in Cariano is admired for its gorgeous Venetian Villas such as Villa Serego and Villa Giona-Faiuoli, picturesque hamlets such as Marano and the 17th-century church of Saint Peter the Apostle is one of the gems in this region, built over a Romanesque church. Not to mention Verona, which is just a short drive away and second only to Rome in the number of fascinating Roman ruins. If you are based in Verona, Valpolicella makes for a perfect day trip wine excursion. There are 5 levels or styles of Valpolicella; Classico, Superiore, Superiore Ripasso, Amarone Della Valpolicella and Recoito della Valpolicella. 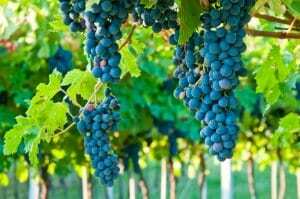 The main grape varieties are Corvina, Corvinone, Rondinella, and Molinara. The tannic, thick-skinned Corvina is regarded the best suited to the region, so much so that some producers chose to move out of the DOC law which only allowed 70% of Corvina in the blend. This law was actually updated in 2010 allowing up to 95% to be used. Rondinella is much more aromatic and Molinara is the third grape present making the Valpolicella trio. Corvinone has similar characteristics to Corvina (only having been recognized as a variety in its own right in 1993 opposed to a mutant of Corvina). You will also find unique local grapes like Rossignola, Negrara Trentina and Barbera alongside Merlot, Cabernet Sauvignon and Sangiovese. The variety of terroir and meager soils left by ancient volcanic activity: a mix of volcanic tufa, calcareous clays and, in the east, alluvial material has given Valpolicella the possibility to nurture countless varieties. The young dry Valpolicella Classico wines surprise with their punchy flashes of spicy, tart and sweet flavors, often referred to having a “sour cherry” note and considered to be the Beaujolais Nouveau of Italy, in part due to excessive production in the 70s/80s. To be considered Superiore all wines must be aged for at least a year and are therefore darker in color and more concentrated. Valpolicella Superiore Ripasso is a joyous discovery, it is produced by macerating the pomace (grape skins and stalks) left over from Amarone production with Valpolicella Classico. Creating a much richer, denser and higher alcohol content. Yet even more exciting than the ever-improving array of dry red wines are the area’s sweeter creations. Amarone is the star of the Valpolicella region, delicious and off-dry. A dense, concentrated wine with a velvety texture, Amarone Della Valpolicella is at once lavishly fruity with refreshing acidity. Highly aromatic, notes could include all forms of cherry (dried cherry, cooked cherry, maraschino cherry), coffee, almonds or leather. The winemaking process is a unique and fascinating ancient Roman tradition in Valpolicella, called “Appassimento”. It entails the drying of grapes bunches after harvest for up to 4 months (or shorter if fans are used in the drying room), allowing them to shrivel like raisins before pressing, vinifying and aging. The grapes can be laid on traditional wooden “Arele” or in modern plastic plateaux. The grapes are dried in specially created drying halls that have fresh air circulating through them. Some of these drying “sheds” are state of the art such as the Allegrini winery’s “Centro di Appassimento” Terre di Fumane, which is absolutely spectacular (so big the space is even shared by other wineries). The effect of the drying on these ripe grapes is that the sugars are concentrated. Amarone is considered to be an off-dry wine, while its cousin Recioto is hedonistically sweet. Which leads us on to the 5th style; Recioto Della Valpolicella most definitely a dessert wine, its production starts the same as an Amarone, but the fermentation is stopped prior to completion, leaving substantial residual sugar, hence the sweetness. These wines are intense with a rich dried fruit flavor. They can be cellar-aged considerably, some for 20 to 30 years.